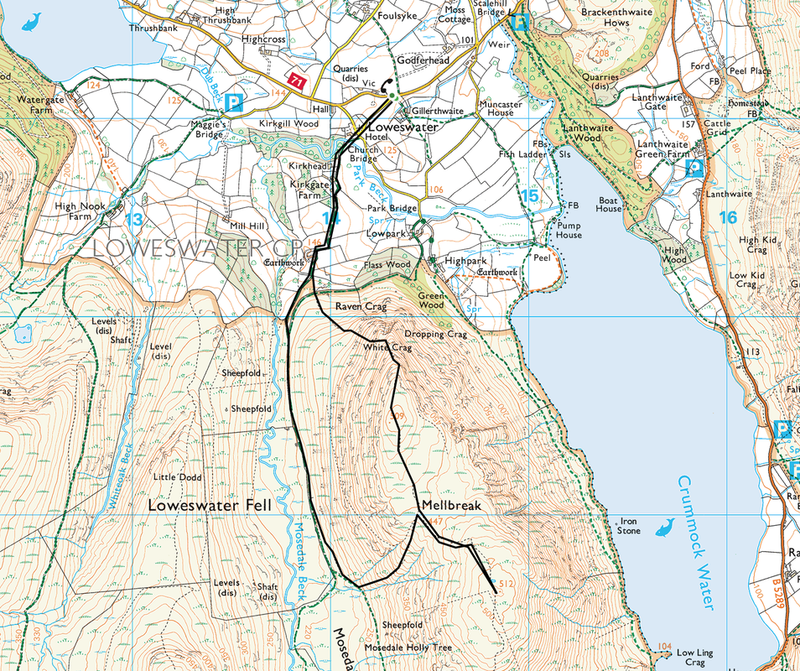 Mountain paths for the most part with some road walking at the start & finish. 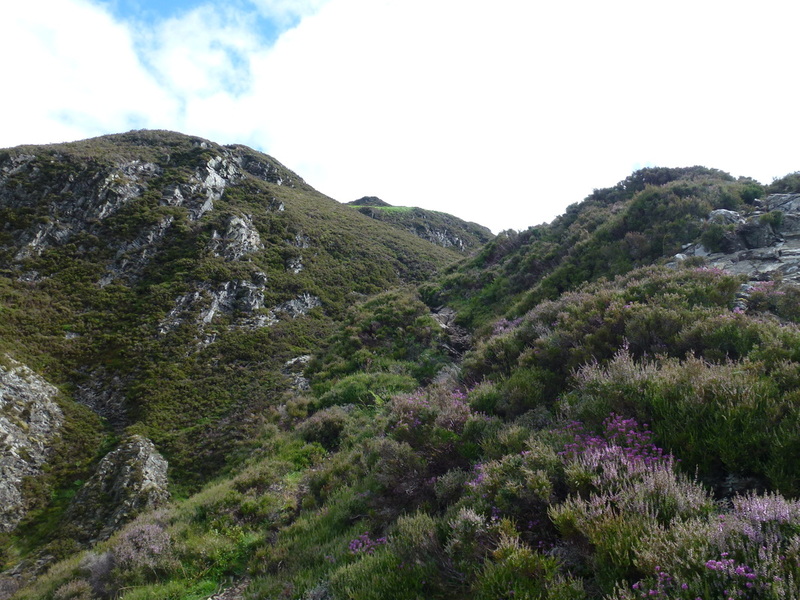 The ascent of Mellbreak from the North appears daunting at first but is on a generally good path. 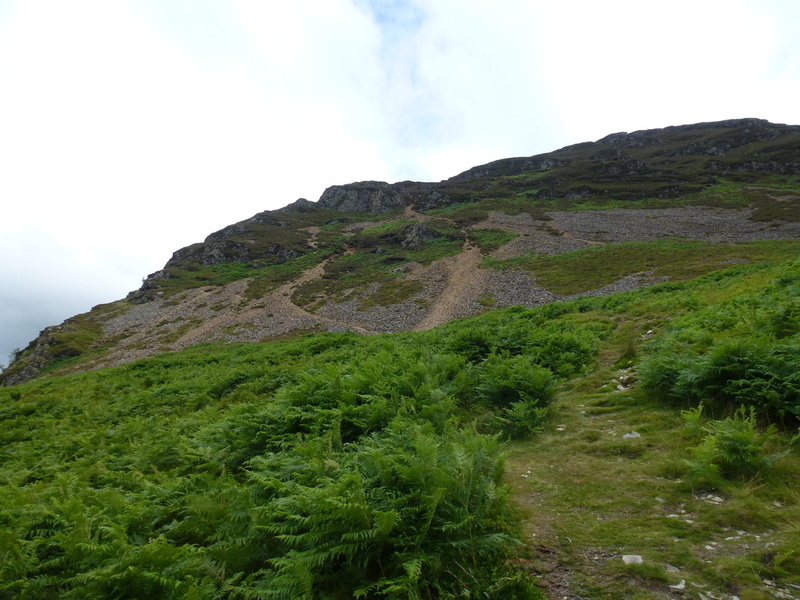 There is some scree to negotiate for the majority of the ascent. 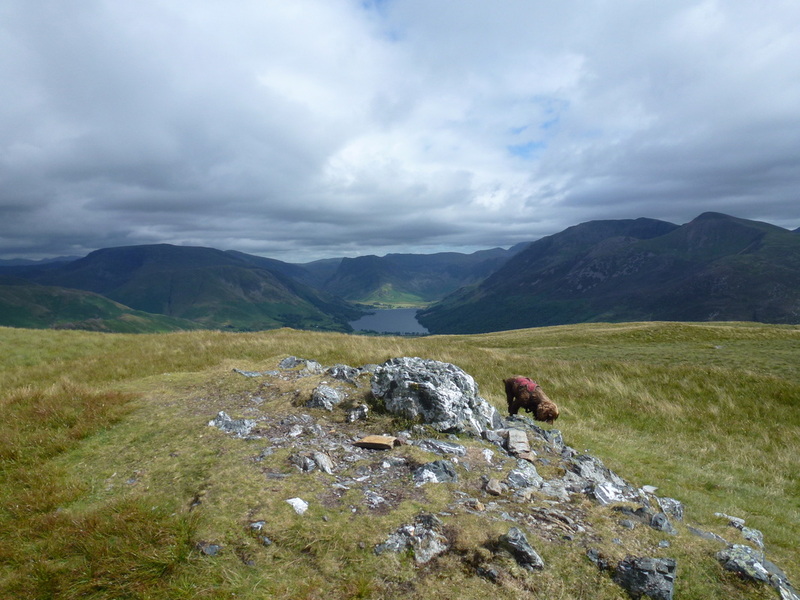 ​When seen from the summit of Grasmoor or Rannerdale, Mellbreak always seems to be inviting you over Crummock Water, willing you to come and climb it. 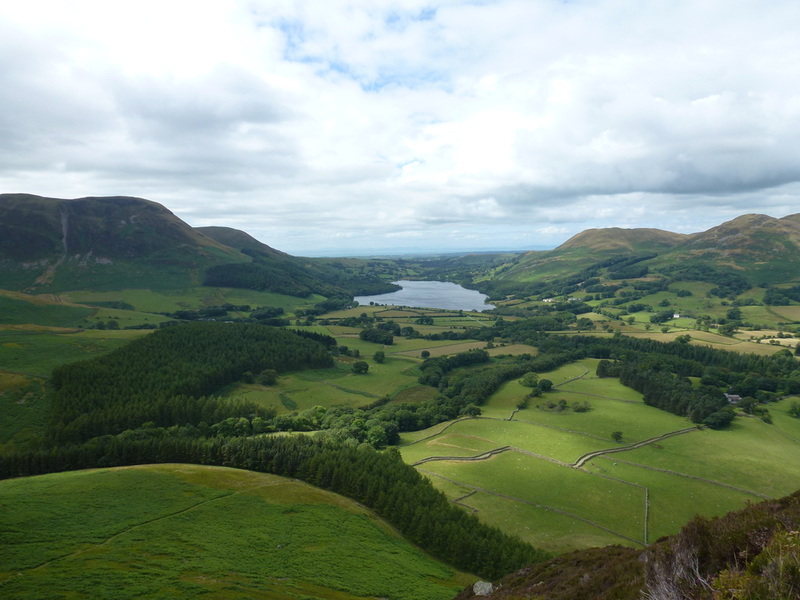 We had never been up the fell before therefore with a few hours to spare on a Sunday we drove over to Loweswater in order to rectify this. 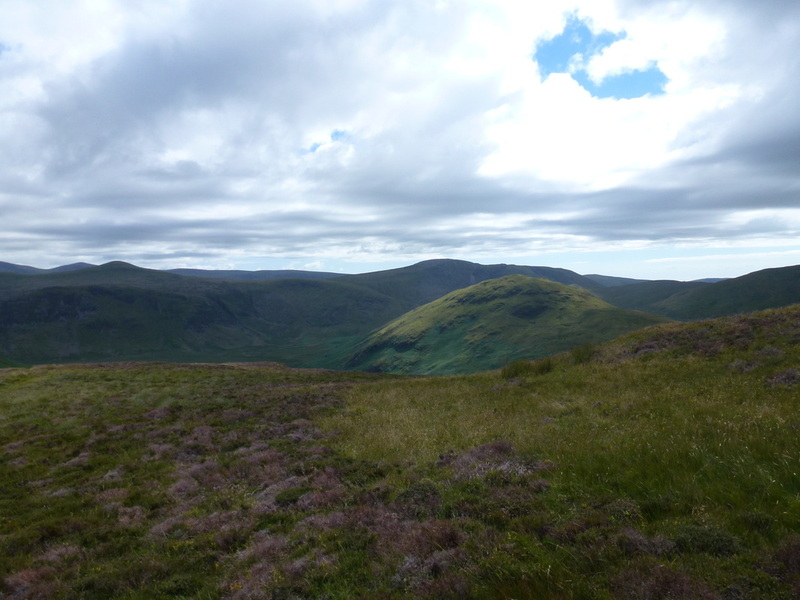 We had decided to visit both summits by way of the North Ridge, a route most people climbing the fell use, however there are other routes to the top. 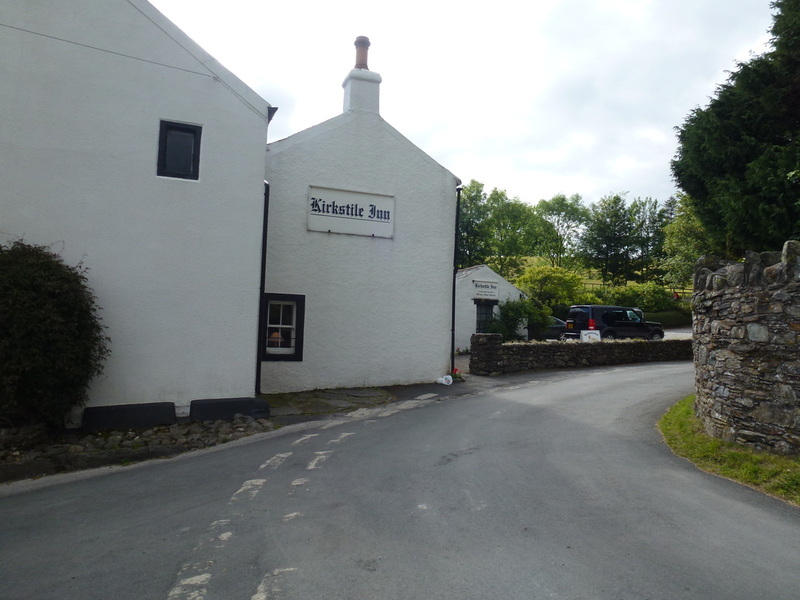 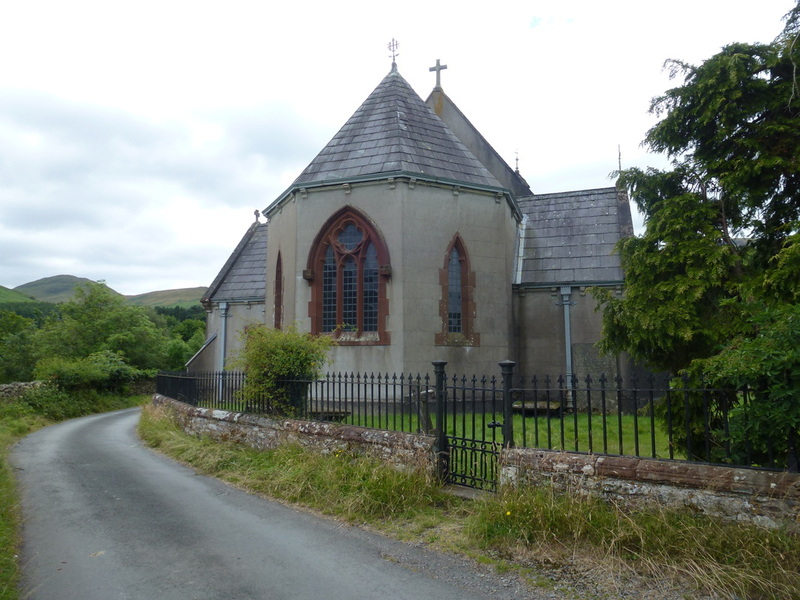 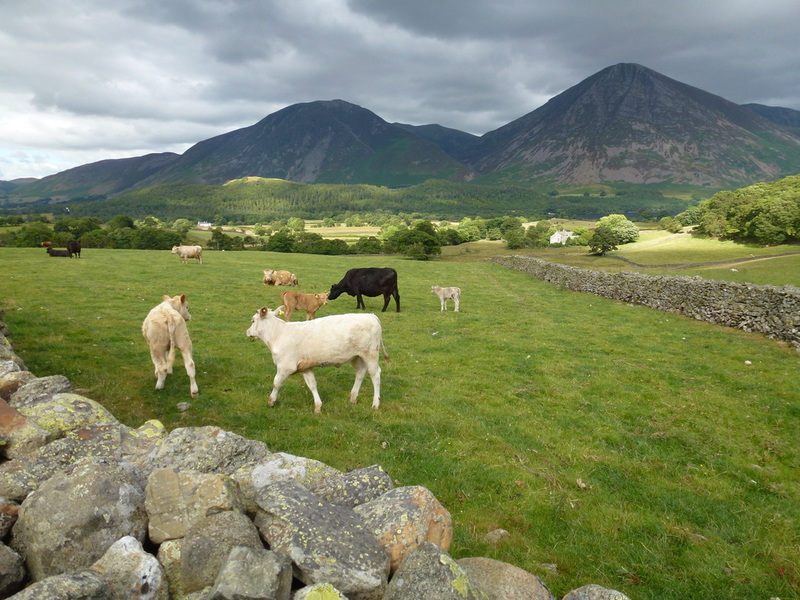 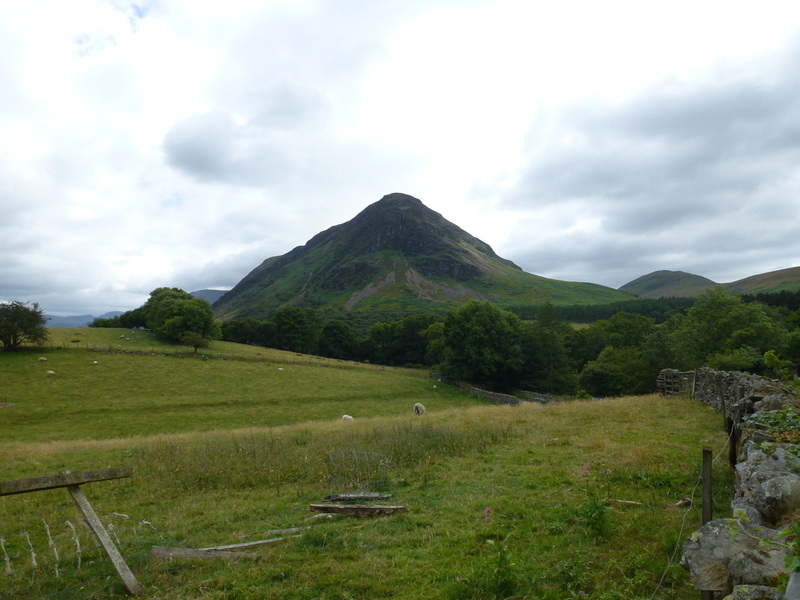 There are various parking places in Loweswater - we parked by the village phone box and walked up to The Kirkstile Inn and past the lovely church of St Bartholomew before walking over Church Bridge, past Kirkgate Farm and down the walled bridleway to reach a gate. 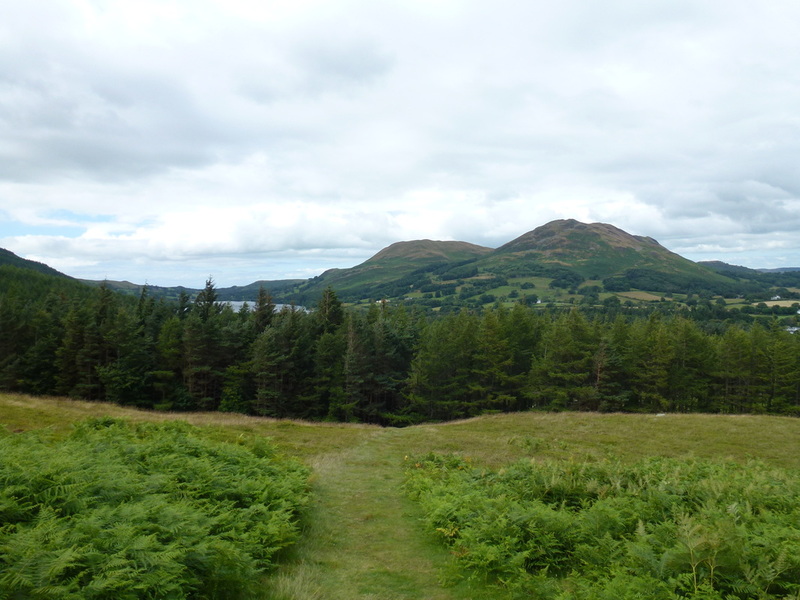 We took the path straight ahead through a firebreak that splits a small group of larches before we reached the open fell side. 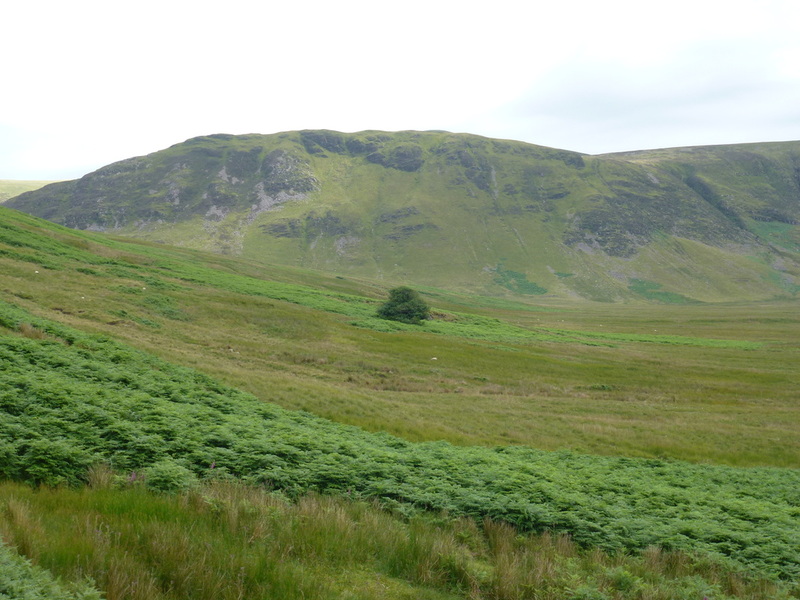 Once through the initial bracken path the route made its way to the foot of a long scree incline which zig zagged its way up the fell. 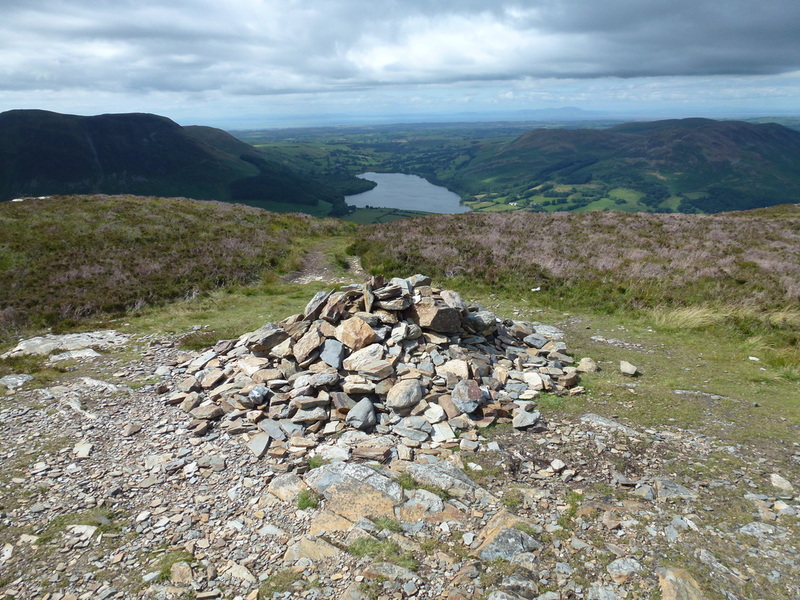 We needed to take a bit of care here as the stone was very loose in places but it was just a case of taking our time and soon enough we were through the rocky gateway and whilst the ascent was still steep, the path was much better all the way to the North summit. 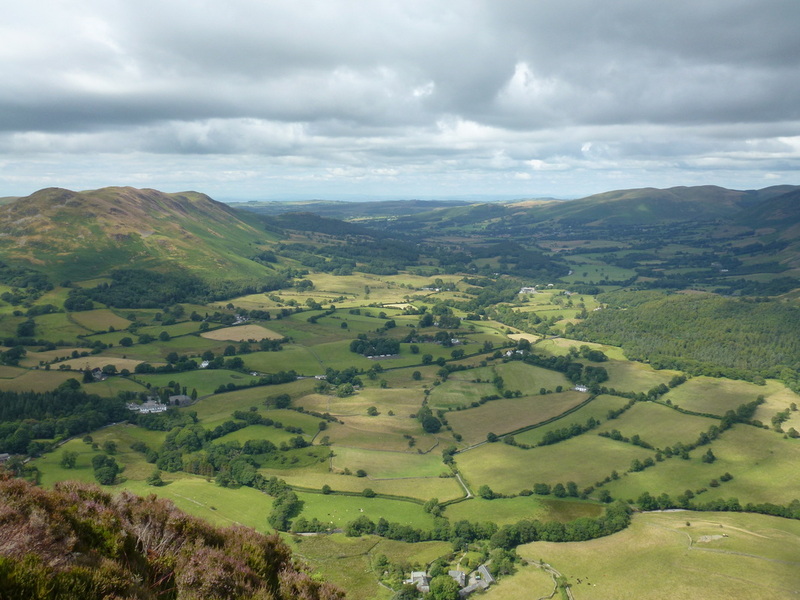 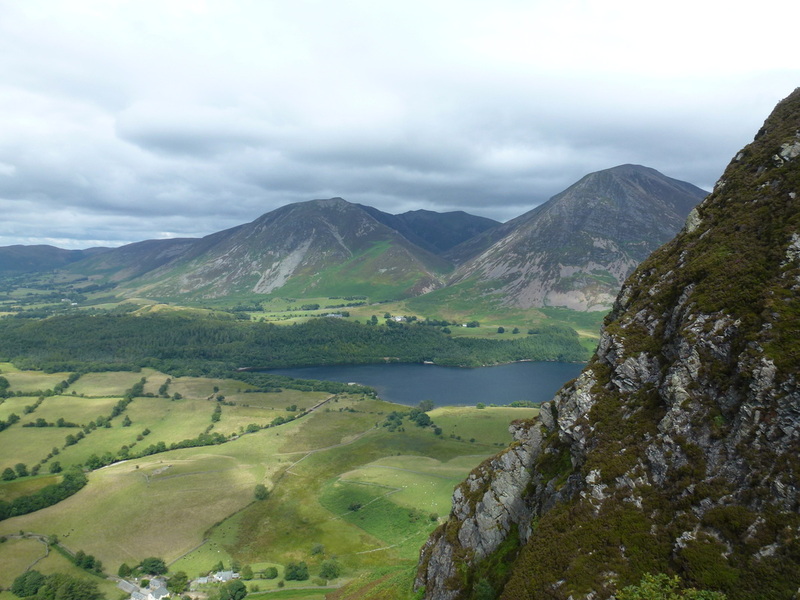 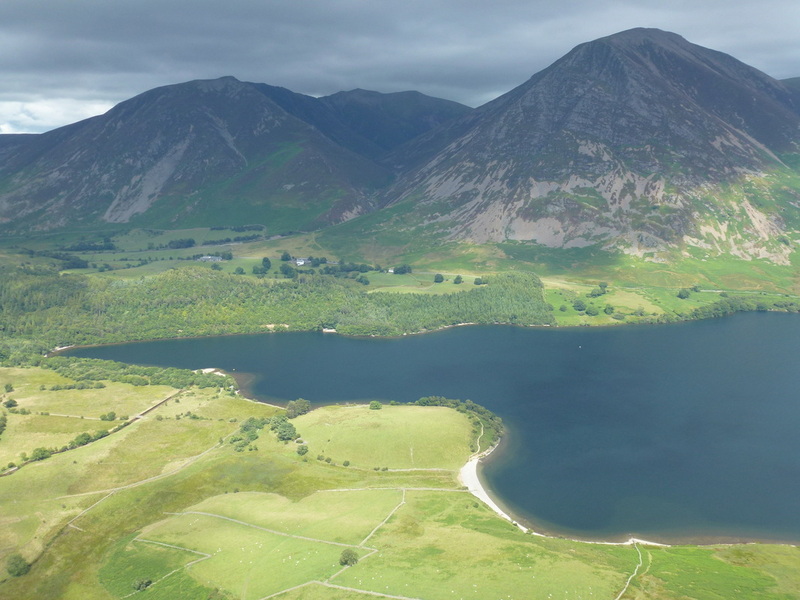 There are superb views back over Crummock Water and to the Vale of Lorton from both the ascent and summit. 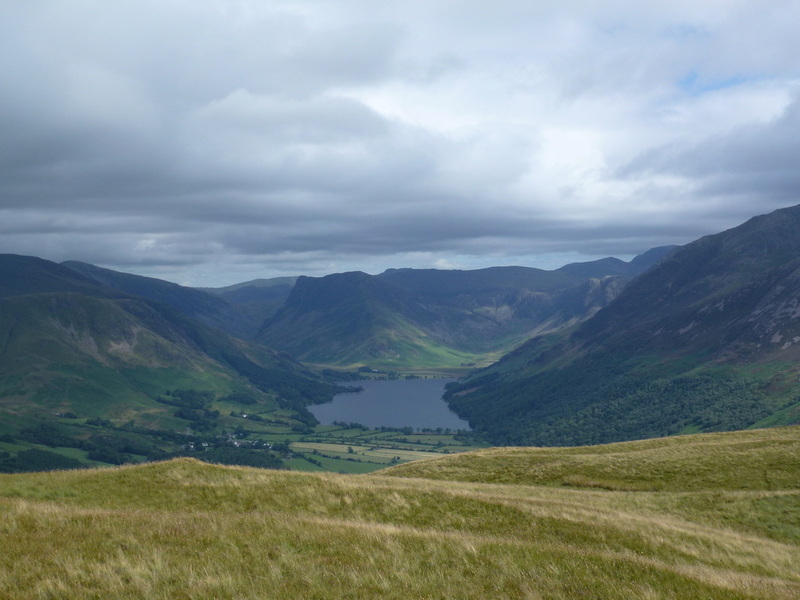 From the North summit, the South top is reached by way of a large wide depression and once attained there are fantastic views down over Buttermere and the High Stile ridge. 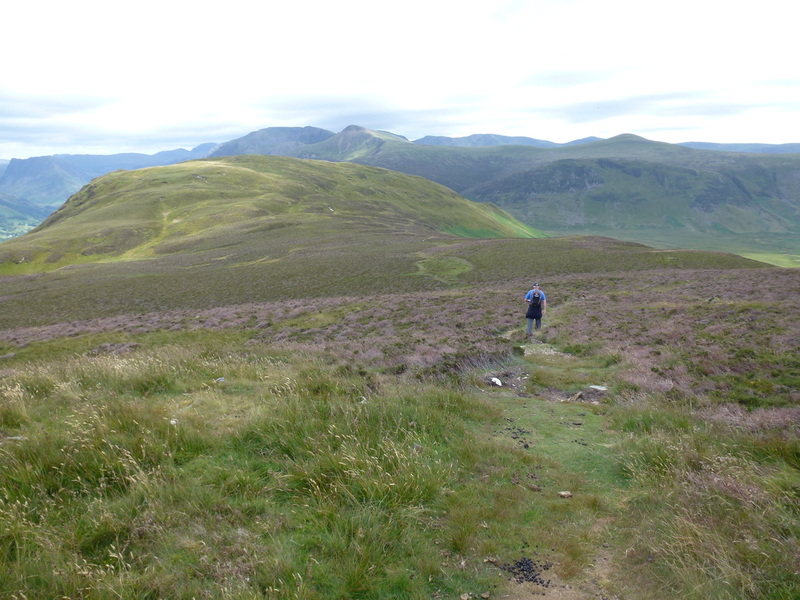 Finding the correct route off the fell requires some care as there are paths appearing all over the place but it is just a question of heading back over to the North summit to roughly half way and the path appears to the left swinging in the same direction after a while to reach the Mosedale valley floor below. 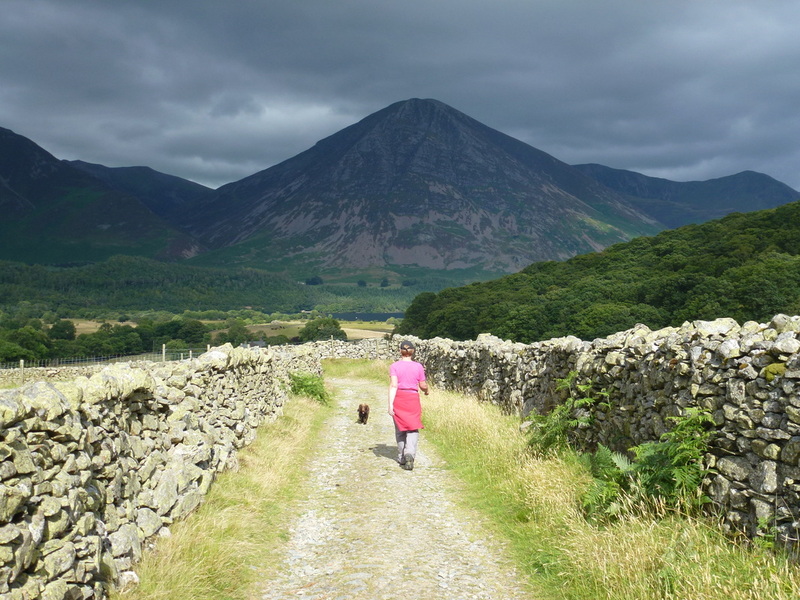 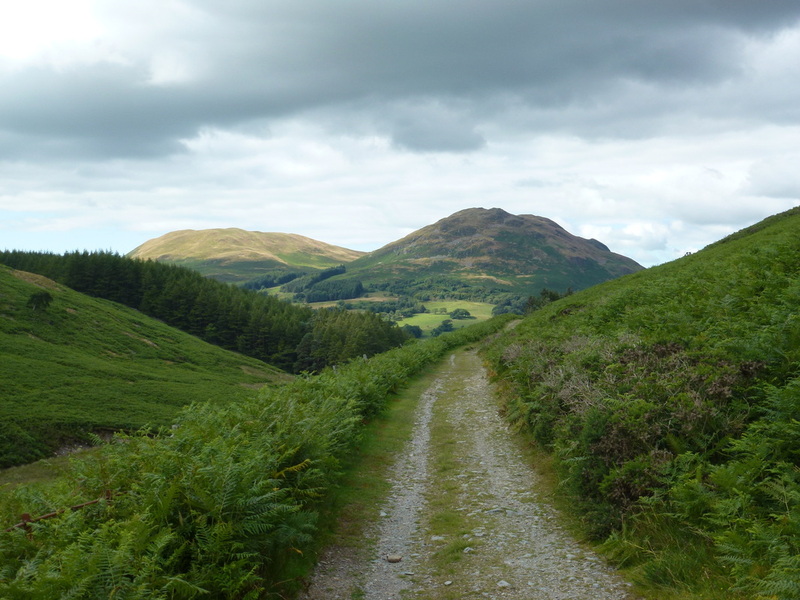 It is now just a simple case of following the very good path back to the walled lane and on to Loweswater. 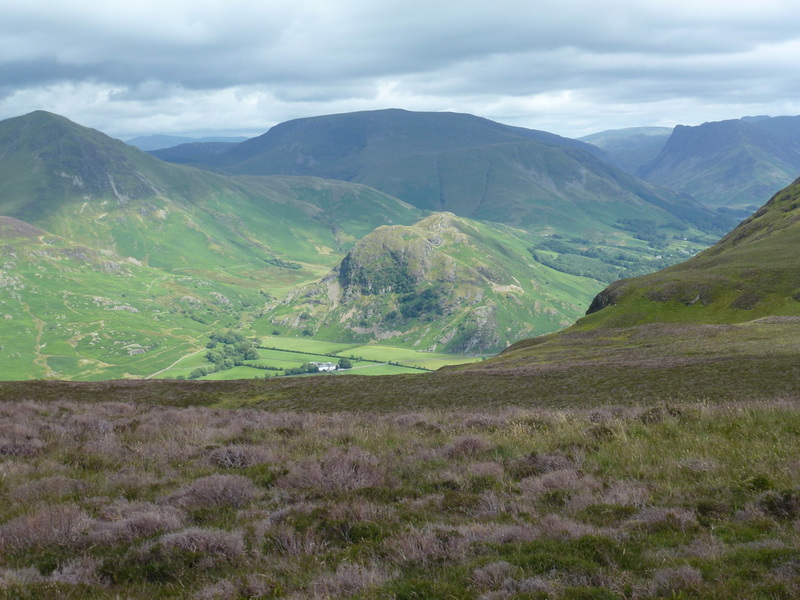 If you have a spare few hours then climbing Mellbreak is a delightful way to spend them. 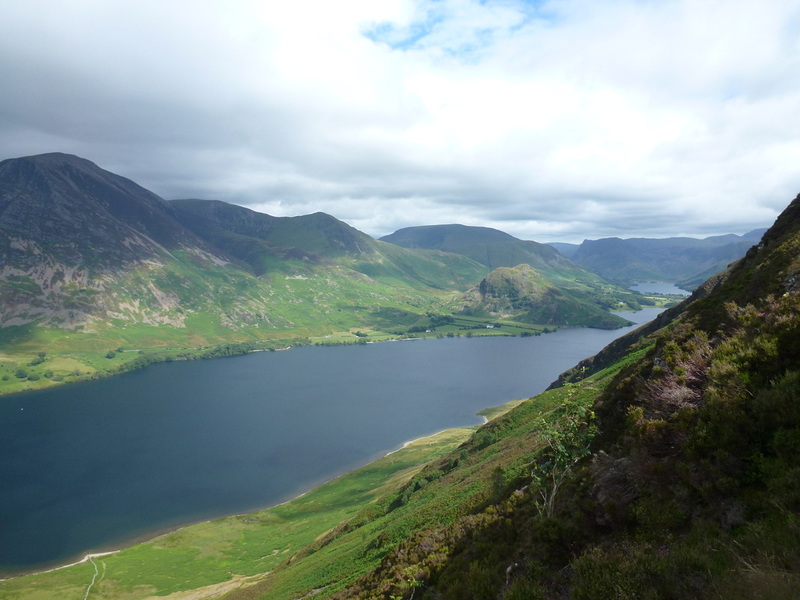 To the left of the path, it is worth seeking out this view over Crummock Water & Buttermere.